Hunted is now available at Amazon.com and Kindle Unlimited! Get it now! Exclusively on Amazon.com! Kindle Unlimited Subscribers can read for free! Amazon Prime members can also read for free via the Kindle Owners Lending Library. Don’t have a Kindle? We’ve got you covered! 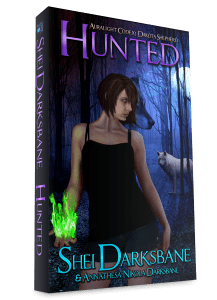 And you can even add Hunted to your “To-Read” shelf on Goodreads.com! Thank you so much for supporting us! We hope you enjoy every minute!